A strong and effective cleaner for removing dirt, algae and moss. 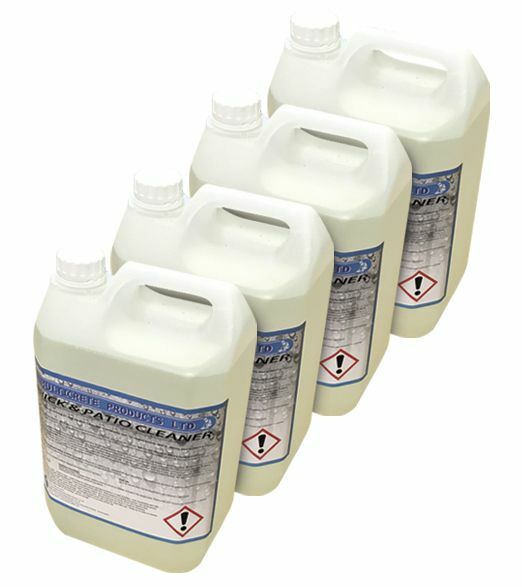 Multicrete Brick and Patio Cleaner is a strong and effective cleaner for removing dirt, algae and moss. 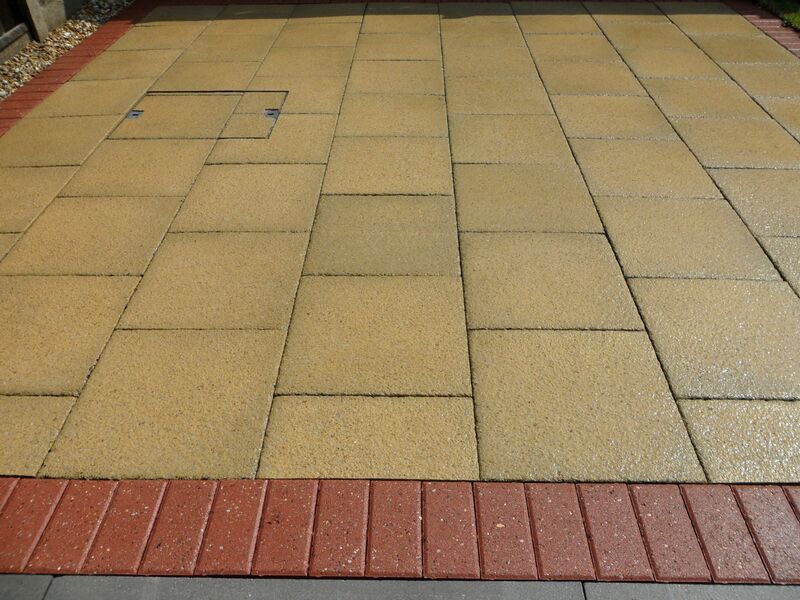 Can be used on paved areas, walls and concrete surfaces. Ideal for cleaning down Brickwork and Patios. 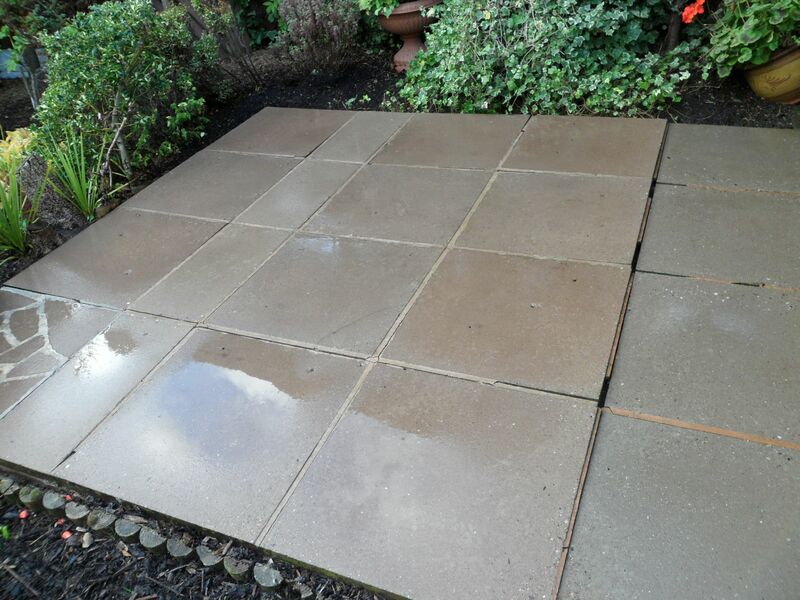 For removing cement and mortar splashes, light oil stains and grease from brickwork,paving tiles, earthenware and concrete. Multicrete BRICK & PATIO CLEANER should not interfere with the various types of concrete and stone (except limestone and marble) commonly encountered in the general building area. Efflorescence can also be removed by using this product diluted. Gloves, overalls, boots and goggles should be worn at all times during application. Protect metal surfaces and paintwork before application with Polythene Sheets and tape. Remove excess dirt, mortar, etc with a stiff yard brush. If cleaning down brickwork saturate area with water to prevent damage to mortar. Before commencing a full clean down,test on an inconspicuous area with Multicrete BRICK & PATIO CLEANER diluted 2:1waterto cleaner .For normal use dilute between 2 and 4 parts water to 1 part cleaner. Apply using a low pressure hose or by brush and allow to stand for 10-15 minutes ensuring the area does not dry out and is scrubbed occasionally with a stiff yard brush. Rinse thoroughly with large amounts of water, do not add water to neat cleaner,always add the cleaner to the water. If stains persist,repeat the process and/or use the cleaner undiluted taking care to test the neat cleaner first on an inconspicuous area. For removing efflorescence use a 4:1dilution water to cleaner. Always use a plastic container for diluting this product . 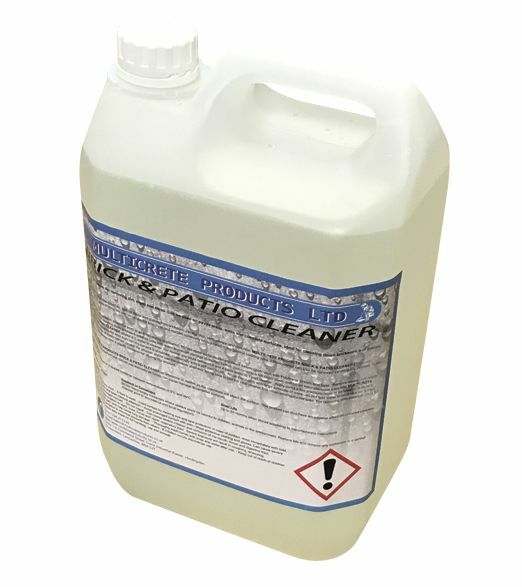 Do not use Multicrete BRICK & PATIO CLEANER on limestone or marble as the chemicals will attack the surface.This product can also have an adverse effect on coloured concrete test an inconspicuous area before use.Do not use internally as fumes can cause damage to sensitive surfaces.